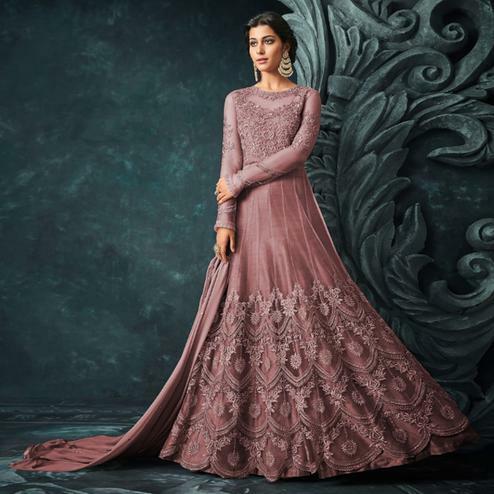 Be the center of attraction with this marvellous maroon colored faux georgette anarkali suit. 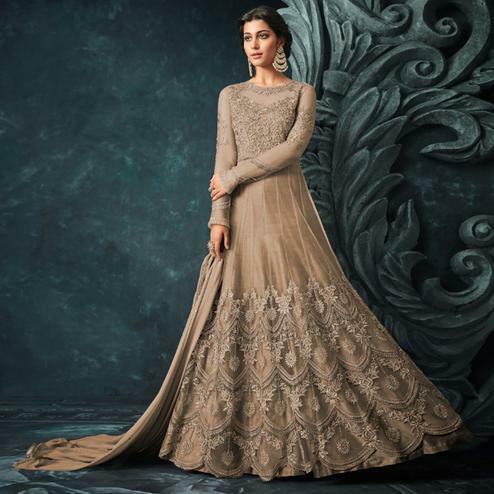 This beautiful suit is prettified with embroidered and flare which makes it appear classy. Available with matching santoon lining, santoon bottom and embroidered chiffon dupatta with lace border all synchronized well with the latest trend and style. 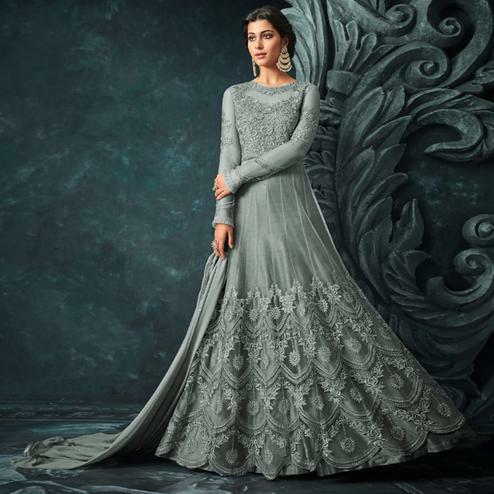 Women can buy this ethnic dress to wear for their upcoming parties, wedding functions and occasions. Get this stitched as per your desired fit and comfort & fetch compliments for your rich sense of style. 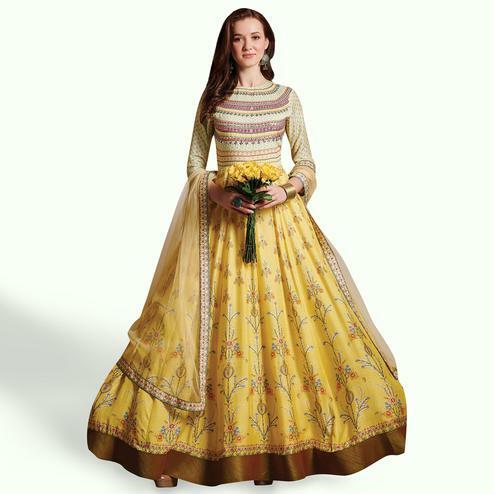 Buy this anarkali suit now before it is sold out. Team it with ethnic accessories and high heels to make your looks more beautiful.